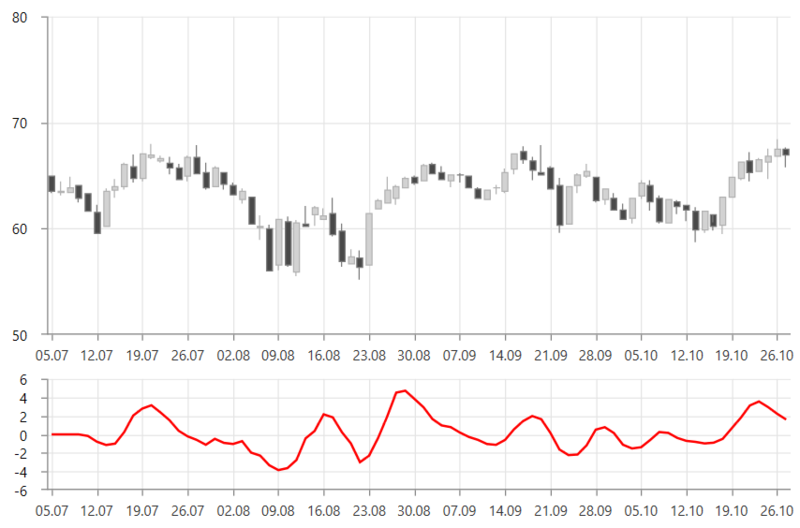 RaviIndicator (range action verification index) identifies if a values pair is trending. To set up the indicator you can set its CategoryBinding, ValueBinding and ItemsSource properties. Additionally, you can control the periods (in days) over which the indicator will be applied. To do this set the LongPeriod and ShortPeriod properties.